Oculus has reaffirmed that it is still working on a next-generation version of the Rift despite an initial report from TechCrunch suggesting the cancellation of the so-called ‘Rift 2’ was the reason behind the sudden departure of Oculus co-founder and former CEO Brenden Iribe, announced just yesterday. According to the TechCrunch report, an unnamed source “close to the matter” claimed that Iribe and the Facebook executive team had “fundamentally different views on the future of Oculus,” indicating that these differences have existed for quite a while and “grew deeper over time.” It was also said that Iribe was not interested in a “race to the bottom” in terms of performance. In response to these reports, Facebook issued a statement saying that plans for future versions of the Oculus Rift headset are indeed still in the works. “While we can’t comment on our product roadmap specifics, we do have future plans, and can confirm that we are planning for a future version of Rift,” the company stated. 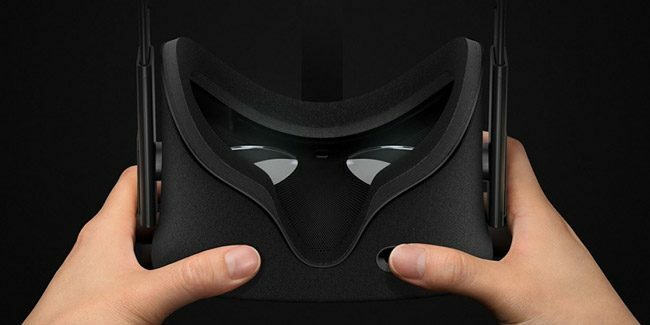 Oculus co-founder and head of Rift Nate Mitchell has also denied reports of any cancellation of a next-generation Rift, stating on Twitter that the company is “still driving forward on the Rift/PC platform with new hardware, software, and content,” easing any doubts that the team has stopped working on a future Rift headset. Whether the ‘Rift 2′ or some other iteration of Oculus’ high-end PC VR headset is released in the future to consumers remains to be seen. However, as of now, Oculus and its parent-company Facebook appear to still be committed to the Rift/PC platform, which is reassuring for anyone concerned that the company was leaving the Rift behind.